Car seats may be made for children but they can perplex even the smartest adults. Many parents and caregivers don't realize just how complicated it can be to install and use a car seat correctly. 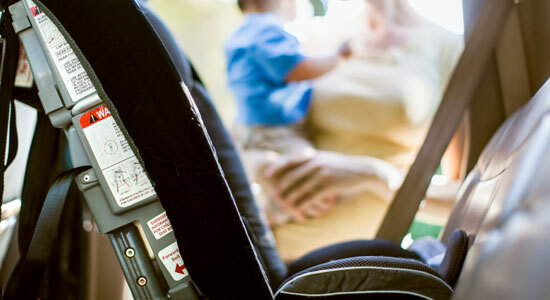 Here are five of the most common mistakes that adults make when it comes to car seat safety. Does it come with its original instructions from the manufacturer? Can you easily see the label showing the manufacturer date and model number? Has this car seat model ever been recalled? Has this car seat expired? Is it more than 6 years old? Does it have any missing parts? Has it ever been in a car accident? An improperly installed car seat creates the potential for a fender bender to turn into a devastating accident, but unfortunately the National Highway Traffic Safety Administration (NHTSA) estimates that three out of every four car seats are installed improperly. While it may seem tedious to follow an instruction manual, don't neglect it—car seats are engineered to provide the most protection for children when installed according to manufacturers' instructions. Consult your specific vehicle's manual as well, which could contain important information about how to secure a car seat. Even if you followed installation instructions to the letter, you still may be unsure if the car seat is installed correctly. Luckily, you can take advantage of your local child car seat inspection station. At many local fire departments, police stations, or car dealerships, you can have a certified car seat safety technician inspect your car seat—and in most cases, this service is free of charge. Some adults may not be aware that a service like this exists, so they neglect having that extra pair of eyes to check over their safety seat. 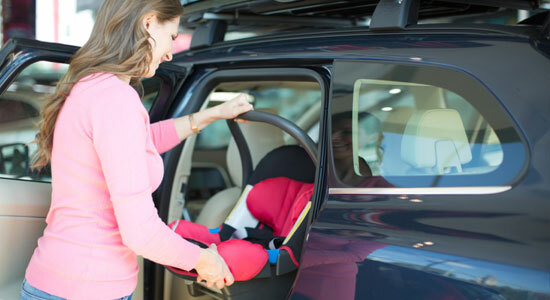 Find an inspection station near you with this Child Car Seat Inspection Station Locator. It may be hard for parents to tell when to stop using a rear-facing car seat. Some may believe that when a child's legs are bent and can touch the back of the seat, it's time to face their car seat forward. However, leg position is not always the best indication. According to the Car Seat Guidelines of the American Academy of Pediatrics, infants and toddlers should be in a rear-facing car seat until the age of two, or until the reach the weight or height limit provided by the car seat's manufacturer. Parents always bundle up their children during cold weather, but they may not know how dangerous wearing a puffy winter coat can be for a child in a car seat. 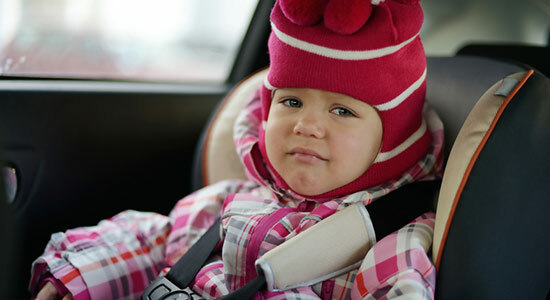 As a general rule, bulky coats should not be worn underneath the harness of a car seat because they can cause the car seat's harness to become too loose to be effective in a car accident. 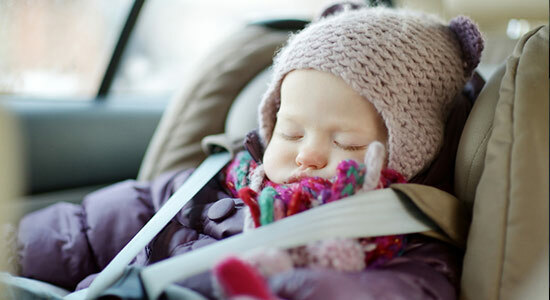 During winter, tightly secure your child in his/her car seat without their coat. Then, turn the coat around and put it on backwards with your child's arms through the arm holes. This way, they can be safely secured and warm and toasty in the car. Use our Car Seat Safety Resource Center to find even more helpful tips and tricks for parents and caregivers of car seat users. 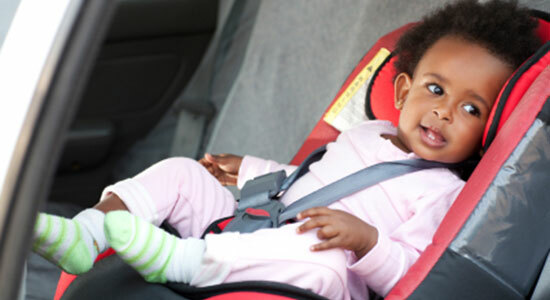 Source: “Infant and toddler Health: Car Seat Safety.” Mayoclinic.org. September 24, 2014.